Shop online for over 5,100 model railroad scenery at discounts up to 64%. 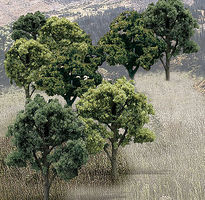 Grass/Earth is the most popular of the 12 model railroad scenery categories, then Decals, and Trees. Woodland Scenics is ranked #1 out of 76 model railroad scenery manufacturers, followed by JTT Miniature Tree, and Microscale Inc. This is Woodland Scenics' Burnisher for Dry Transfers. Add Graphic Touches and Create Your Own Custom Signs with These Woodland Scenics Model Graphics Dry Transfer Letters in Gothic R.R. Font (White). This Package Contains 4 Styrofoam Pieces of Risers that are 2" Tall by 24" Long. 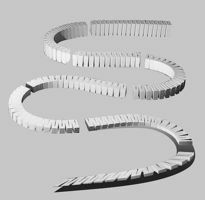 This is Step 1 among the simplified and improved 5-step layout system for beginners and advanced modelers. 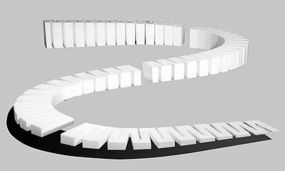 It's a Woodland Scenics Subterrain Lightweight Train Layout System for creating an outdoor environment. 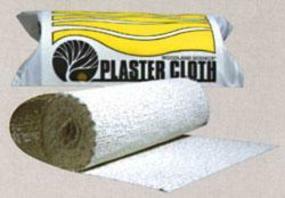 This is the PlasterWrap (8'' x 15' 20.3cm x 4.57m) from Scenic Express. This is a package of Dead Fall from Woodland Scenics. Use this natural, realistic product to model fallen or standing dead trees and stumps. It has the look of aged wood with gnarled branches, knots with some smooth, weathered pieces. Watch our Dead Fall video to learn more. Use on any scale layout and apply with Scenic Glue.0.5oz (14 g). Add Graphic touches and create your own Custom Layout with these Woodland scenics Roman, R.R. White Dry Transfer decals.